DNas: "In order for us to make sure we're going somewhere, we have to remember our past." 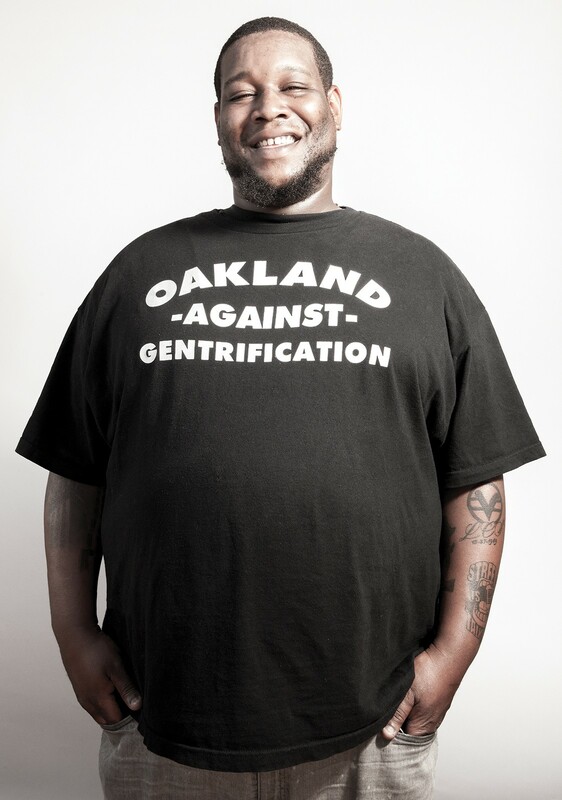 Leon Sykes II is as Oakland as it gets. He once transcribed Black Panther newspapers when he was a student at Laney College. A classmate of his at the time was Mistah Fab, one of the north Oakland’s finest. And, speaking of the north, Sykes — or more commonly known as DNas — attended Oakland Technical High School, along with Marshawn Lynch, who was his swim teammate. In 2001, while a sophomore at Tech, Sykes joined Youth Radio, the media education and production organization headquartered in downtown Oakland. There, he found a platform for his high energy, love of community, and journalistic curiosities. Beginning in 2007 and until last year, he hosted Streets is Talking, a show streamed on Youth Radio’s in-house internet station, AllDayPlay.FM. Today, Sykes, 32, does a lot of things. Officially, he is a lifeguard at West Oakland’s McClymonds High School (which he insists has the best pool in all of Oakland). “I’m there as a lifeguard, but I’m a father, I’m a counselor, I’m an uncle, I’m a teacher, I’m a brother. I’m all facets of a community person when I’m at the schools,” he explained. And that might be the title best suited for Sykes, a “community person,” or model citizen. When school is closed, Sykes spends his summers managing Oakland’s municipal pools. His outpost since 2004, DeFremery Pool, is undergoing renovation, so these days he’s at Temescal Pool. “My whole adult life has been working in West Oakland,” he said. Around the time he began his lifeguarding career, Sykes was also doing security for 2232 MLK (where Starline Social Club is currently located). He rattled off acts he saw there: Daghe, the Pack, Jacka, Planet Asia, Hiero—connections that proved vital when he started his show Streets is Talking. The show featured a roster of rotating co-hosts — including his mentor DJ Aebl Dee, journalist Niema Jordan, rapper Beejus, singer Rayanna Jay, and Daghe’s More Vibes crew — chatted and helped him curate music from independent hip-hop and R&B acts that weren’t getting radio play. “Podcasts were so brand new. We were on this thing called Podomatic. I had like 150,000 subscribers,” he recalled. In Lakeshore, he grew up alongside his cousin, filmmaker Obatala Mawusi. Mawusi’s mother Seyana founded an African Saturday school where Sykes, his older sister, Mawusi and a dozen other children learned ancient African history. But he remains frustrated by what he considers a focus on major housing developments and a lack of emphasis on job growth. For Sykes and many of his peers, that’s the central dilemma of living in a city that feels like it’s outgrowing its hometown residents. For his part, Sykes is seeking solutions. Later this month, he expects to bring back Streets is Talking after a year-long hiatus. But, as for a city council run, that’s still up in the air.